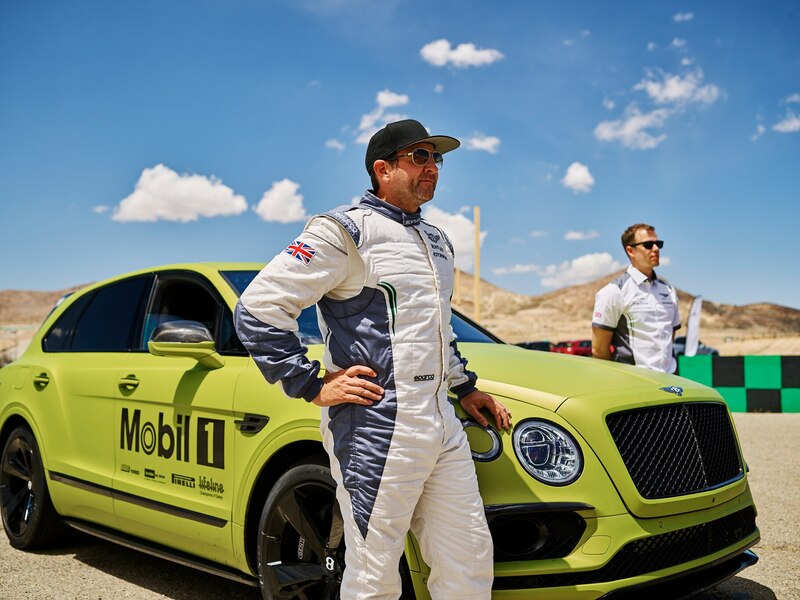 WILLOW SPRINGS, California — Bentley reached out to us to attend a preparation session for their Bentayga W12 Pikes Peak racecar in part to hype up their attempt at breaking the SUV hill climb record while also to giving us a taste of the lifestyle to which the marque’s owners are accustomed. Plus, the brand said we could ride shotgun with Rhys Millen on the track—but more on that in a moment. 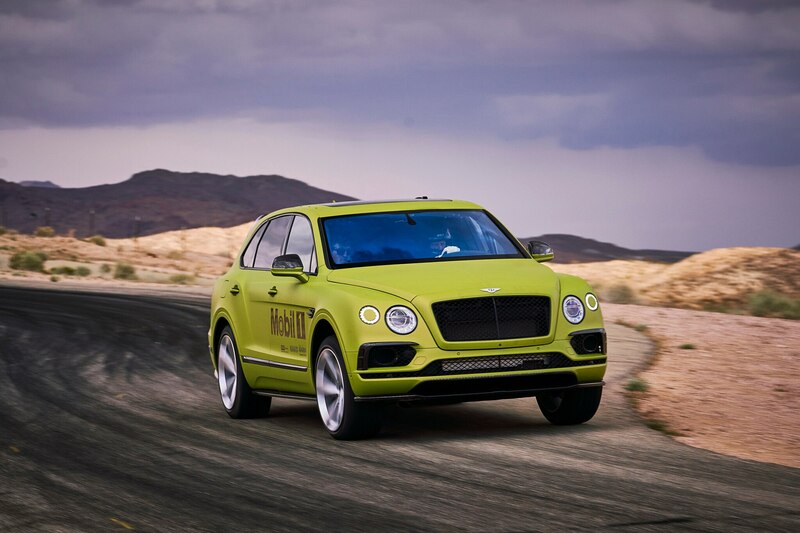 This immersion began with a drive to Willow Springs International Raceway in a Bentayga in delicious Dragon Red II paint, a $6,000 optional extra that was paired with the $1,400 lower-body paint of a second color. As a first timer in the plush—yet supportive—seats of the hyper-luxurious SUV, I quickly adjusted to the arsenal of conveniences offered in the three-row Bentley. 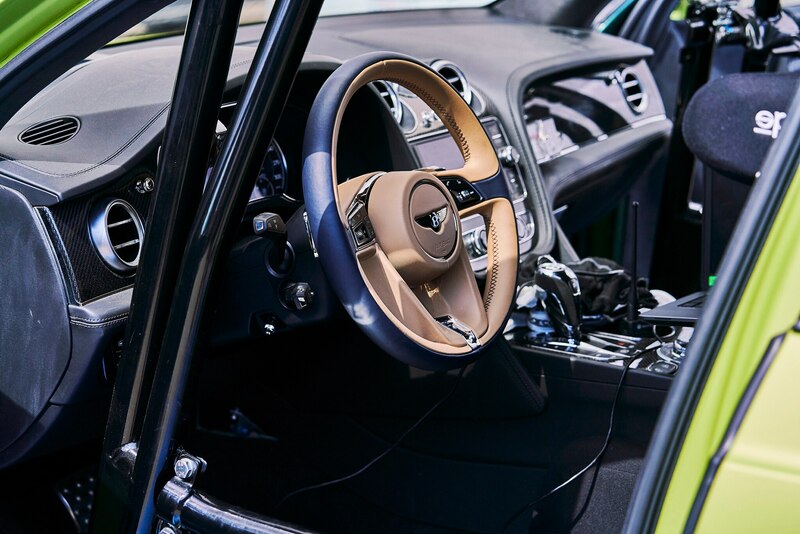 The wood-trimmed interior is striking upon ingress, but the first thing about the Bentayga that really caught my attention was the sheer power of the twin-turbocharged W-12. Boasting 600 hp and 664 lb-ft of torque available all the way down at 1,350 rpm, this big boy can haul. The all-wheel drive system provides plenty of grip to make sure that twist goes to good use, and the ZF eight-speed transmission offers seamless shifts. The acceleration’s linearity is sublime. 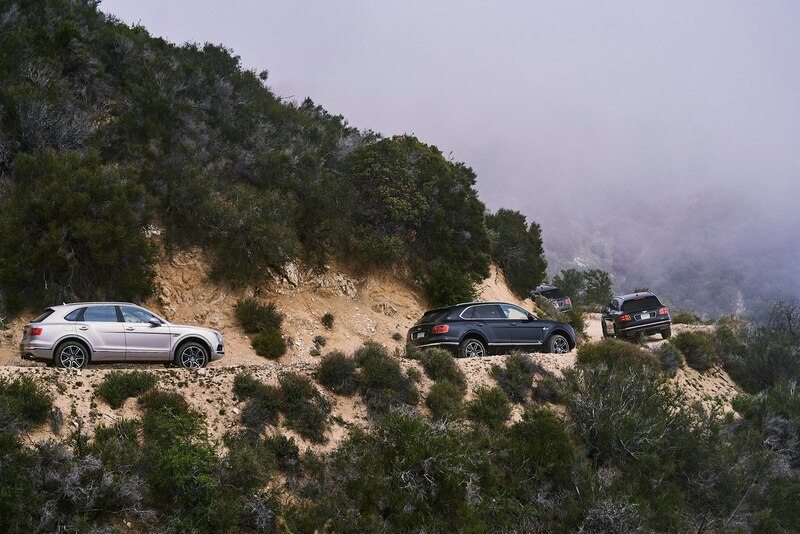 The hustle from Los Angeles to Palmdale, California was an effortless two-hour drive, and I took full advantage of Apple CarPlay and variable suspension settings. The interior of our tester had plenty of upgrades to enjoy during the drive. Stitching of a contrasting color ($2,080), embroidered Bentley emblems ($700), burr walnut trim ($1,925), and a veneered center fascia panel ($675), and deep pile carpeted floor mats ($520) imbued the cabin with a sense of traditional luxury. Comfort-specification massaging front seats with heat and ventilation ($3,740) and a heated, two-tone steering wheel ($475) offered a welcome touch of modern tech. 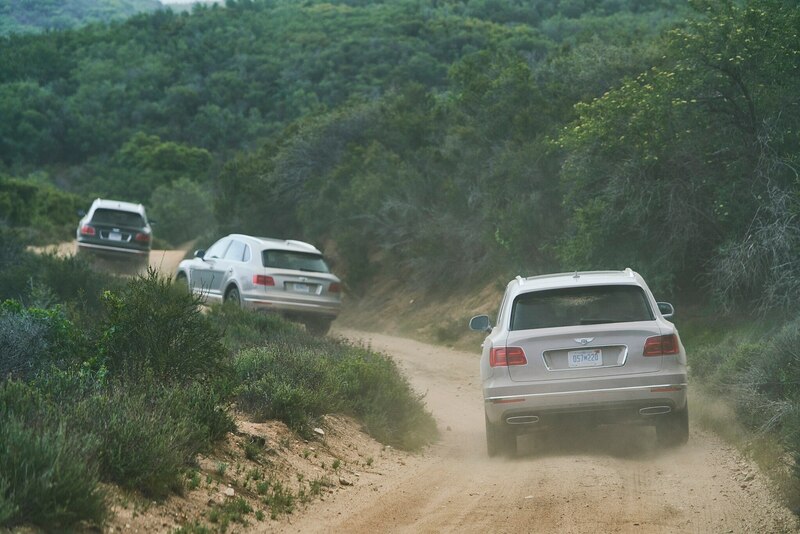 Cossetted drive to the track behind me, we stepped out of my Bentayga and into another. This time, it was a W12 Bentayga Blackline specification and we weren’t driving. All the chrome trim on the standard model is traded for gloss black or carbon fiber. There’s a carbon-fiber spoiler a barking quad exhaust made from the same stuff. Our driver whips the SUV and me around Streets of Willow, a pretty basic track with corners on the tighter side. Body roll was absent from our series of hot laps thanks to a trick 48-volt anti-roll bar system shared across the entire Bentayga lineup. A motor lies between each the anti-roll bars in both the front and the back of the ute, applying torque to keep the chassis in control through the twisting pavement. 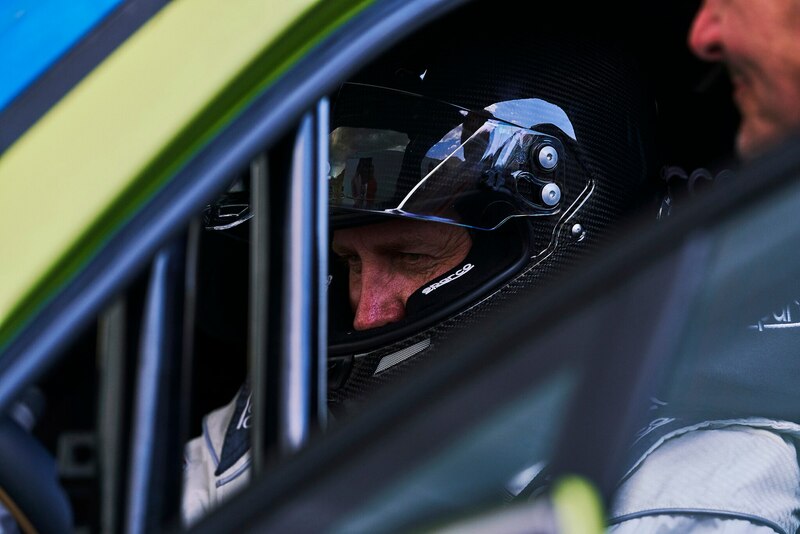 It’s now time for the real reason we made the trek to Willow Springs International Raceway—to rub elbows with driver Rhys Millen as he and his team prepare for their shot at breaking Land Rover’s record at Pike’s Peak. 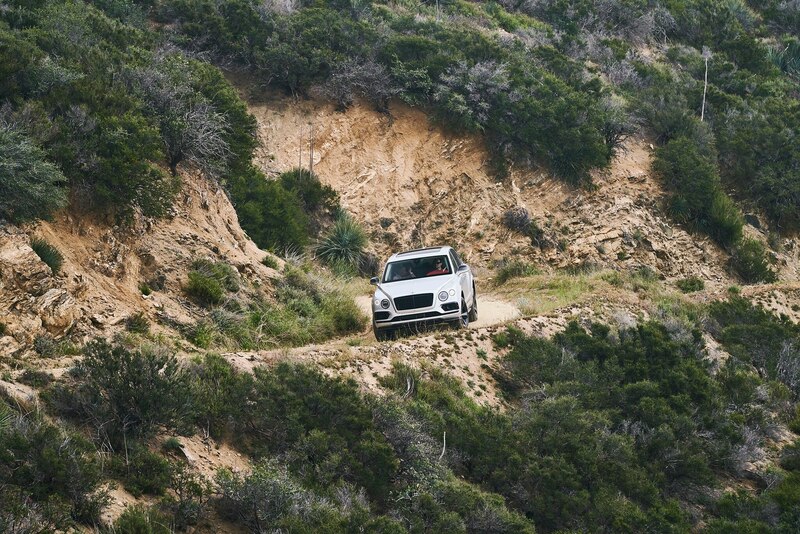 The rival British automaker laid down a 12 minute 35.61 second time with a Range Rover Sport in 2013. 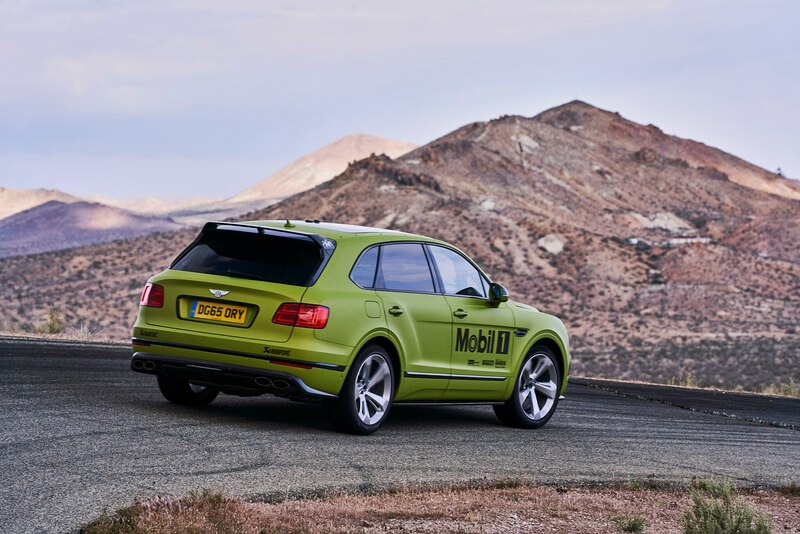 Now Millen aims to best their feat in a stripped out Bentayga. 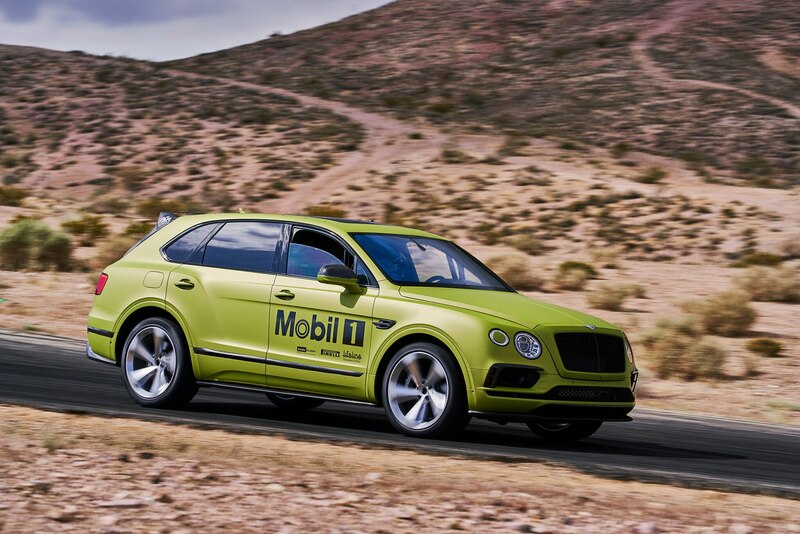 Bentley will be racing alone in the production SUV category at the Colorado Springs adjacent competition. 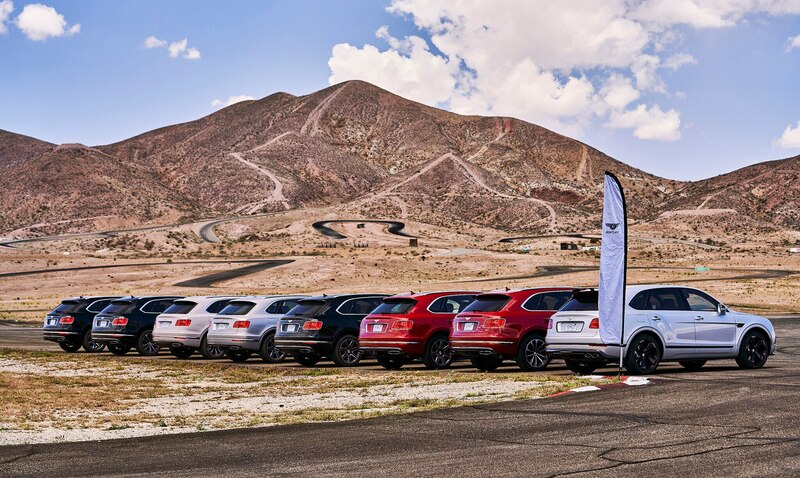 To prepare, the Bentley crew set up shop on Willow Springs’ Horse Thief Mile circuit, which is known to be tough due to its steep elevation changes and tight turns. The proving ground’s difficulty is intentional, as it closely mimics the challenging nature of the Pike’s Peak road course. Their efforts have already begun to show results. Millen claims he’s been beating the goal lap time of 1:04 by several seconds, citing a time of 1:01.2 during our chat. Bentley’s matte-green Bentayga race car stands out, but it’s surprisingly factory stock due to the series’ class restrictions. The production car events at Pike’s Peak allow only for safety modifications to be added, including a driver’s seat and roll cage. An intercooler sprayer has been added as well. Suspension tuning is allowed, and the Bentley team has dropped the front an inch and the rear an inch and a half. Otherwise, all the team has to work with is the standard powertrain. Millen, an American born in New Zealand, has a diverse background when it comes to racing, including taking part in Formula D, Global Rallycross, and winning Pike’s Peak in 2012 and 2015. He’s never driven for Bentley before, but has played an involved role in setting up this car alongside the engineers who developed the Bentayga production car. “The guys have done an incredible job within the production perimeters,” Millen told us. “We’re going to break that record by over a minute.” Bentley’s reps told us the team has quiet confidence, but the New Zealander after taking part in this competition twenty-four times. I rode along with Millen after his Bentayga got a brand-new set of carbon-ceramic brakes and the car had been readied for another round of track testing. Sitting shotgun with the veteran driver, the massive SUV carved through turns and exploded into the straights. Massive ten-piston front calipers offered ginormous stopping power. The 48-volt anti-roll system kept the multi-ton race car in perfect shape through our four laps. “Pretty good huh? !” Millen exclaims after the final lap. 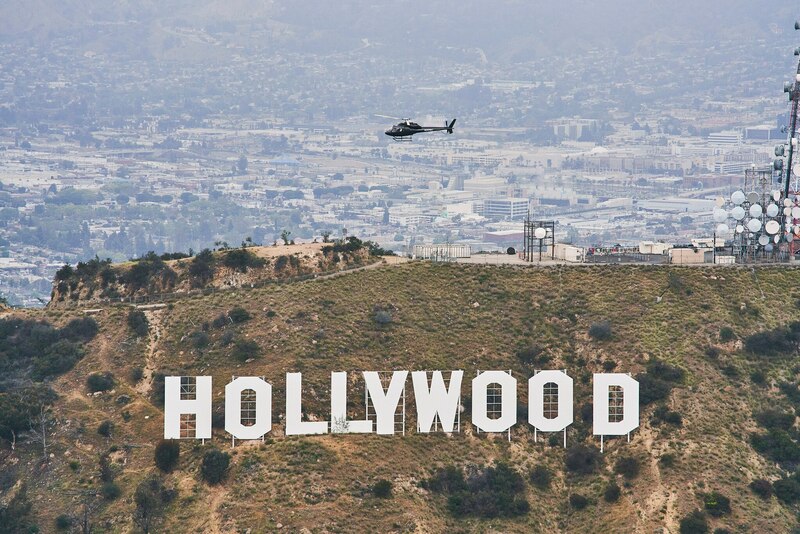 Here’s when it got dramatic. 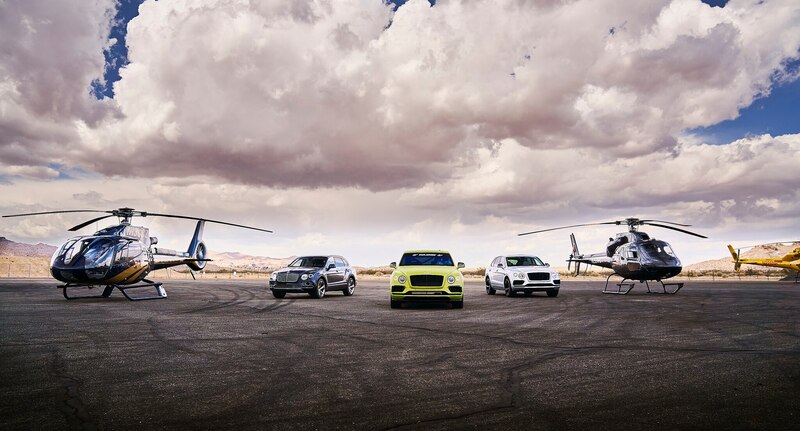 We attended this test-fest along with a contingent of Bentley customers, so to give the day a cinematic conclusion, three helicopters touched down on the Willow Springs skid pad, offering the photo op of a lifetime. In step with the complete Bentley experience we got to hitch a ride from the track back to Los Angeles.